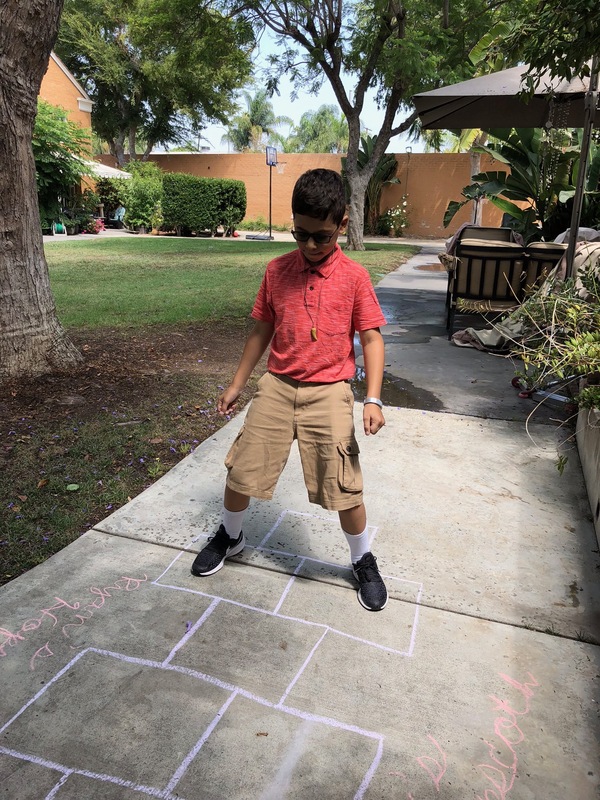 The other afternoon, my son and I played hopscotch. That was after we had played handball. There are a few details that make those statements more meaningful than they may initially appear. First off, in our neighborhood, we don’t see many parents outside playing with their kids. Where we live, kids are left to wander on their own. Most of the families near us are not only-child families like ours so often times siblings play together, or neighboring kids play together. But the other day, we were the only ones outside enjoying the sunshine so I was my son’s playmate. Secondly, neither hopscotch or handball are easy sports for me to play. Me, the woman with an autoimmune disease, the woman who qualifies for a disabled placard, the woman who experiences pain in her legs (primarily the left leg). But my son wanted to play. And I wanted to play with him. So I did, until I just couldn’t. Until I was balancing on one foot, bending down to pick up the rock from the hopscotch square, and pain began to shoot up and down my leg a bit. Then I had to sit the rest of the game out, and cheer on my son while he played alone. That part hasn’t gotten any easier for me — knowing when to stop and knowing when to say “I can’t do this any more.” Because I do want to play with my son, and because I realize how special it is that my ten-year-old still wants to play with me.